I had my first sweet lime soda (also known as fresh lime soda) in Delhi earlier this year, and it was delicious. It was the strangest flavour sensation; a little sweet, kind of chatpatta and namkeen, and just a little tart. Since then I’ve found a local shop that makes a pretty decent sweet lime soda (Apna Chaat House Surrey), but I really wanted to be able to make one at home. The problem though is that the sweet limes they make the juice with in India aren’t available for me locally, and I couldn’t recreate the flavour with regular limes and lemons. This is becoming a pattern in my life now; I tasted something and loved it in India and I can’t make it at home … heartbroken. But in this case I found a hack. Yes, I found a sweet lime soda hack! Simply Limeade. 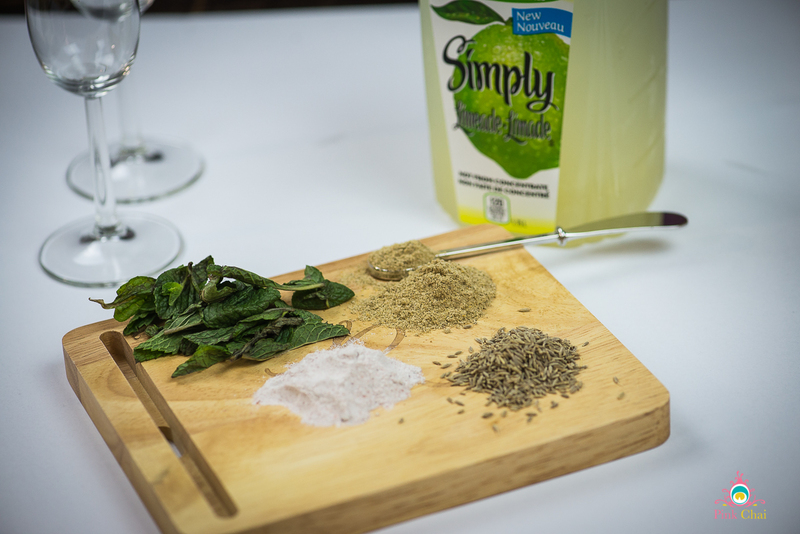 The team from Simply Limeade recently hooked us up with some new juice flavours to sample. I loved the Limeade flavour, and instantly knew it could be the base for my summer brunch drink of choice – sweet lime soda (ps: mango lemonade is also yum-o). 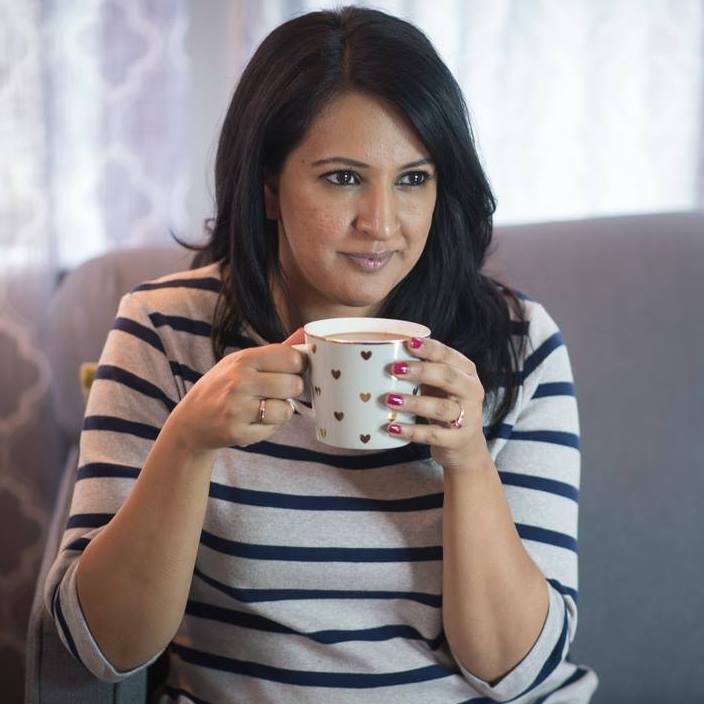 After a little tinkering and playing in the kitchen, and reading various blog posts with recipes, I’ve landed on a mix of seasonings that I like, but feel free to add more or less of the masalas as you see fit. I think sweet lime soda is one of those drinks where each time you make it, the ratios will be slightly different, kind of like gol-gappa pani. 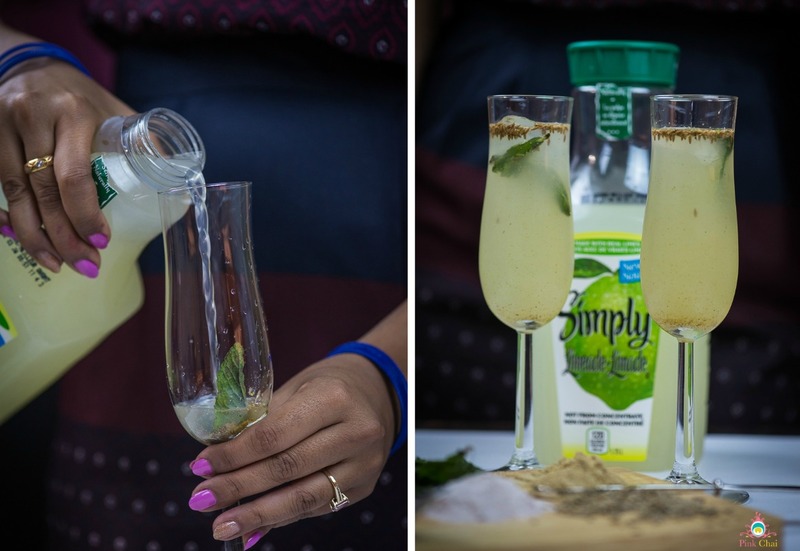 I used champagne glasses to make my sweet lime soda because often I’m making a single serving! For your reference, each glass holds 1 cup of liquid. 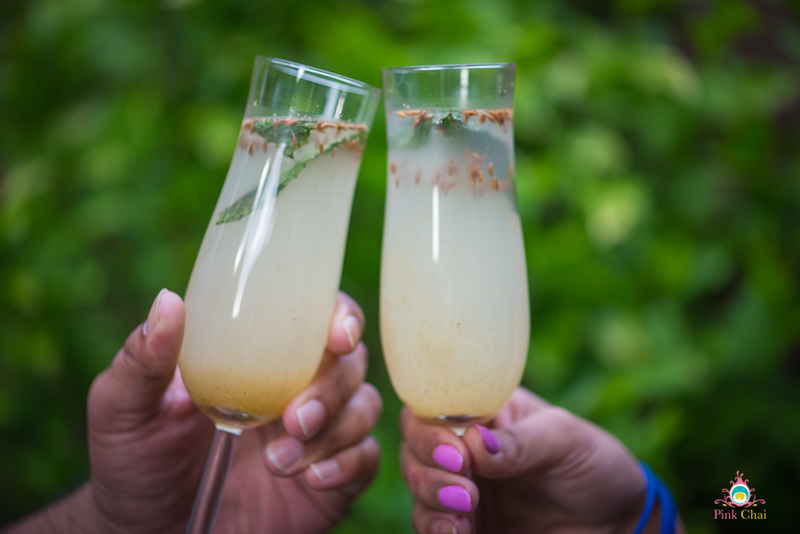 Start by adding the mint leaves, black salt, roasted cumin seeds, and chaat masala to the bottom of the glass and mix together. Add Limeade until the glass is 3/4 full, stir all the ingredients together, add ice, and then top up with club soda and serve! 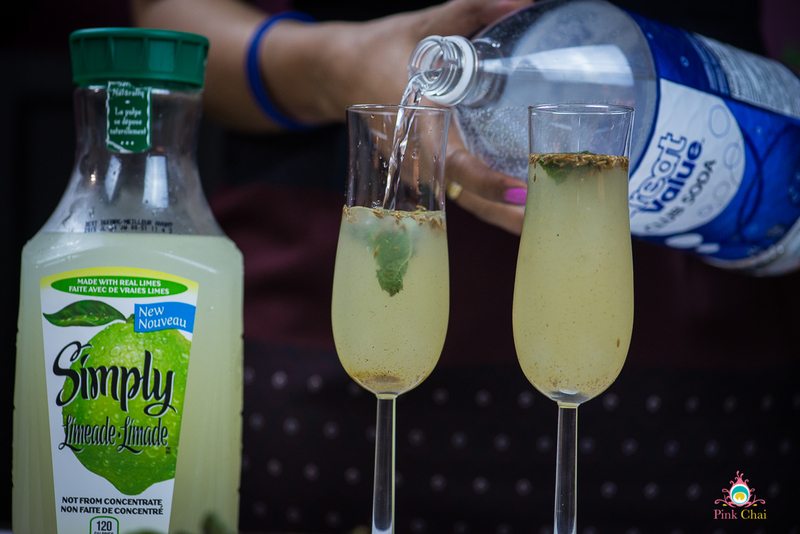 I think this is a really fun drink for a summer brunch with friends, and so easy to make. Let me know if you try it out! PS: I received product for editorial consideration from Simply Limeade, but was not compensated for this post. I just really like this juice and wanted to share with you all! I love this drink, but haven’t had it in aeons!